Restoration Industry’s most efficient and versatile solution for removing water from carpet and pad. When used with the Xtreme Xtractor, the patented Vacuum Pac outperforms all truck mount vacuum sources. 115 Volt/60 Hz. 74 lbs. Performance The Phoenix Hydro-X Vacuum Pac outperforms the competition by its ability to apply all of its suction power at the source, pulling more water than any other restoration extraction tool on the market today. Product Features The Vacuum Pac, with it's patented, portable design and high-end technology, has two powerful vacuum motors that can generate maximum suction. And because it is portable, the Vacuum Pac can be handcarried anywhere in a structure. Truckmount units must stay outside the structure, and every foot of hose deducts 1 cfm of vacuum power. When compared to truckmount units, the Vac Pac can apply all of its suction power right at the source of the water, losing no cfm due to 24, 50 or 100 ft. of hose. The Society for Cleaning Restoration Technicians (SCRT), formerly ISCT, performed a market study of extraction devices at Shaw Industries. In that independent study by restoration professionals, the Hydro-X Xtractor with Hydro-X Vac Pac pulled more water out of the carpet and pad than any other product on the market today, in one case pulling over 40 gallons or 320 pints more water out of the structure than the next best tool. How much longer would it have taken to dehumidify 40 gallons (320 pints) of water if the restorer had not used the Hydro-X. This study looked at using truckmounts with the different extraction tools. 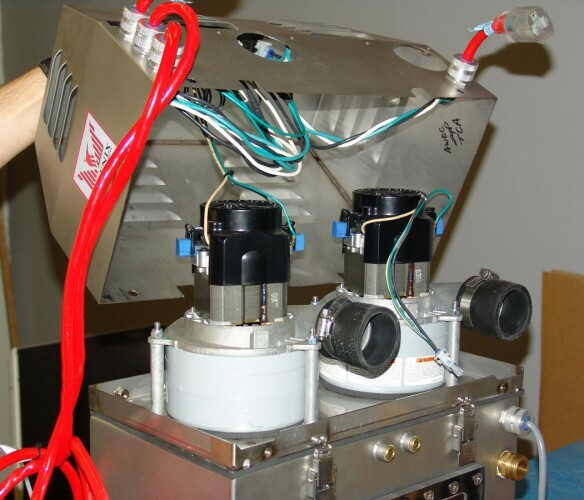 In every case, the Hydro-X Vacuum Pac extracted more water with the different extraction tools than the truckmount with the same or similar tools. 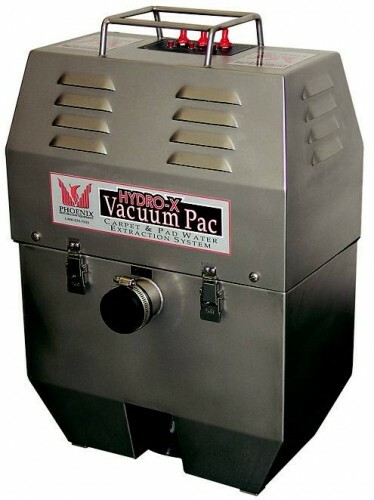 The Vacuum Pac can be run separate from the Hydro-X Xtreme Xtractor and can run with standard wands, water claws, and any other extraction tool allowing for a 2 in. connector. The patented Hydro-X Vacuum Pac was designed to provide suction power superior to any other portable or truckmount unit on the market today. Any standard extraction tool, from a wand to a water claw, to the Hydro-X Xtreme Xtractor can be combined with the Vacuum Pac allowing for extraction on hard surfaced floors and hard to reach areas for the Xtreme Xtractor.